The Bay of Plenty District Health Board has a contract with the New Zealand Family Planning Association to fund the performance of medical abortions at the Association’s Tauranga clinic. It is not the Association’s intention to perform surgical abortions. What is the fee paid by the District Health Board to the FPA for each medical abortion performed on a resident woman at the Tauranga Clinic and what other services are included? Is there a separate payment made if counselling is provided before or after an abortion? Is there a separate payment made for the time spent by a certifying consultant interviewing a woman considering an abortion at the Tauranga Clinic? Is there a payment made in the event that a woman considering an abortion declines to proceed with the abortion or is declined by certifying consultants? We are aware that there is nothing in the legislation governing the performance of abortion or in the “Standards of Care for Women Requesting Induced Abortion” that stipulates that a waiting period is recommended before the woman takes the Mifepristone drug. We are aware that in the United States that there are 26 States that require a waiting period after counselling of at least 24 hours before the abortion may proceed, one of these States has a waiting period of 72 hours. The purpose of this is to provide the woman some time to reflect on her decision. I would be grateful if you would provide me with some information concerning the performance of medical abortions at Lyndhurst. A 1990 directive jointly signed by the French Republic’s Director General of Health, Director of Hospitals and Director of Pharmacy and Medication stated that after women are given prostaglandin (e.g., misoprostol), they are monitored on site for approximately four hours so that allergic reactions, cardiopulmonary "events," haemorrhaging and the like can be treated promptly before they become life-threatening. The directive states that whenever prostaglandins are given "in association with RU 486" the "following technical conditions … are indispensable and are to be followed: The doctor must ensure that diagnostic instruments and machines are close by, such as electrocardiogram equipment and particularly resuscitative cardiopulmonary equipment (including nitrous oxide and injectable calcium antagonists and a defibrillator. 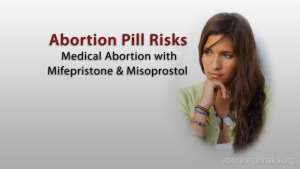 Are New Zealand Women being Informed of the Risks of Medical RU 486 abortions? The following article was written by Donna J. Harrison the Executive Director of the American Association of Pro-Life Obstetricians and Gynecologists AAPOG. About a month ago, the Journal of Obstetrics and Gynecology published a case report on another death from medical abortion. Of course this death, as most of the others, was ignored by the international press. The Prime Minister, John Key rightly deplores the Syrian civil war and the recent chemical gas attack in Damascus where an estimated 1,429 civilians including 426 children were killed. He described the attack as “abhorrent and a disgrace”. The attack has been described by the American President as a crime against humanity. It is believed that there are no certifying consultants resident in Tauranga or employed by your Board. What is the procedure for the authorisation of abortions to be performed at the Tauranga clinic? It is commendable if the staff employed by your Board do not wish to be involved in the killing of defenceless unborn children. Is this the reason for abortions not being performed in your Board’s facilities? What is the funding provided by your Board to the FPA for each medical abortion? What is the period for the contract for the provision of abortions?